I am on Team Bullied. I am incredibly proud to be a member of the Chicago now blogger community. When I started blogging on Chicago now, I had been flying solo on a different host site, feeling lost in a sea of ignorance and frustration. I stumbled into the blogger world and was miserable. I was lonely and isolated (cue Simon and Garfunkel’s, “I am a rock.”), reeling from my first real experience with a bully. Being accepted into the blogging community at Chicago now opened many doors for me, the most important one being the door to a world of new friendships. Although I have had the privilege and luck to have a tight group of friends that has remained consistent for the past 30 years (yes – you read that right- 30 years), my group of friends is geographically scattered. I became a part of Team Bullied after meeting Carrie Goldman Segall after meeting her at a gathering of Chicago now bloggers. When I met Carrie, and many of the other bloggers in the Chicago now community, I was still licking those wounds inflicted by a neighborhood bully. I didn’t feel open to forming any real friendships with new people, let alone strangers from the blogging community. It was such a surprise and an amazing gift to form an actual friendship with Carrie. We found that we had a lot more in common than our passion for empowering families through our writing. We embrace and support each other. 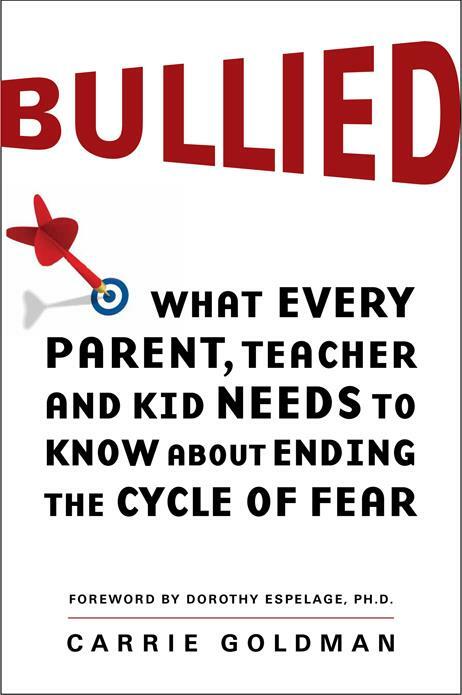 I am honored that she asked me to contribute to her brave and thoughtful book, "Bullied: What every parent, teacher and kid needs to know to end the cycle of fear." 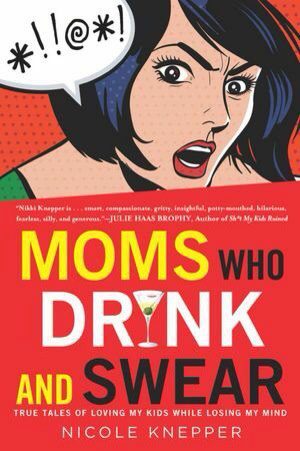 This book is a must have. And I'm not the only one who says so. Carrie is also the author of the blog, "Portrait of an Adoption," here on Chicago now, where she shares the story of how she became an unexpected voice for the anti-bullying movement and how she came to write such a comprehensive and amazing resource book aimed at helping others prevent, understand and cope with the complex issues related to bullying. So about those wounds I was licking…. I was naive. I thought that immature and insecure teenage girls with budding borderline personality disorders were bullies. I thought that those girls grew up, got a life and focused on the well being of their families, careers and children, if they had them. Some did. Others did not. I had the distinct displeasure of having to interact with one of those women who did not, on an almost daily basis, for a number of years. As a psychology professional, I know that people who bully are just sick, scared and insecure people. I know that they are damaged and possibly long -suffering victims of bullying themselves. Knowing this does NOT make it any easier to deal with the varying degrees of rage and pain they inflict on others. The intensity is overwhelming, maddening and often confusing. A bully makes you question your own worth and integrity with their manipulative and forceful interpersonal style. No matter the form bullying takes, no matter the intensity, the length of time or the method, bullying leaves a mark. My bully is gone from our neighborhood, moved far enough away that I no longer have to interact with her on a regular basis, yet I know that she is will not be the last adult to attempt to terrorize me. It won’t matter how kind and tolerant I am, how much I try to be warm and inviting, or how hard I try to avoid being the target. Bullies are like pedophiles in the sense that they seek out the vulnerable, preying on their weakness. Notice I said that she wouldn’t be the last to “attempt” to terrorize me. Next time I’ll be prepared. My bully kicked the naiveté right out of me. I no longer fear her or anyone for that matter. I chose not to allow myself to be a victim of someone else's fears, but it wasn't simple or easy. It was a process and a painful learning experience. From what I hear, my bully is still at it. She’s an expert manipulator, surrounding herself with women she can control and manipulate by tapping into their fears, insecurities and desperation for belonging. They don’t know they are disposable and will be used and abused until they no longer serve a purpose. I know that not one of them has been empowered or supported in their lives enough to feel that they are worth more. It’s not just the insecure and ignorant that are susceptible to bullies. No one is immune to the force of nature that is a bully, yet the cycle is one that can be interrupted if we care enough to act. There is a fine line between standing up to a bully and merely bulling back. Carrie’s book is a helpful resource for teaching and understanding how important it is to end the cycle of bullying through education and empowerment. I will be joining my friend Carrie at the Barnes and Noble at the Old Orchard Shopping Center in Skokie, Illinois on Tuesday, August 14th, to celebrate her truly incredible accomplishment. You are all invited to celebrate with us, and when I say “us” I mean the community of humans committed to being the kind of parents who are committed to ending the cycle of bullying and abuse. Become a part of the team. Visit TeamBullied to view a video or to share your own experience with bullying.